Following various sales I collected all the Charley and Eighth Doctor stories from after Zagreus up until before The Girl Who Never Was. This comprises the stories from the Divergent Universe (which I review in this piece) and the subsequent stories (which I may review elsewhere). Scherzo also came in this set but that is reviewed here: Scherzo by Robert Shearman reviewed (read the review to find out why). 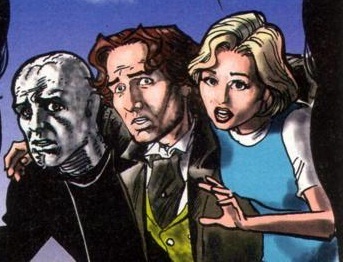 The picture to the left is by Michael Collins from DWM 350 and is part of a scene from Caerdroia — I like the way it shows the three main characters. 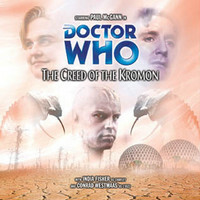 The Creed of the Kromon by Philip Martin (Vengeance on Varos, Mindwarp, Mission to Magnus, Antidote to Oblivion): this sets up the basic ideas of the Divergent Universe, the Interzone (lots of worlds superposed which can be crossed by those in the know) and the manipulative custodian of the Interzone the Kro’Ka. All very interesting; the same can not be said of C’rizz. This is not a reflection on Conrad Westmaas who can act well when given the chance. C’rizz is a lazy sort-of chameleon alien (a Eutermesan) who looks different but never gets to explore that difference (at least in this arc). C’rizz also gets a poor introduction – he kills his girlfriend to spare her a monstrous fate as a result of genetic manipulation; Charley then gets the same manipulation but it all magically reverses. The rest of the story is decent enough with the evil Kromon insect-like creatures painted convincingly and there is a good sense of pace. 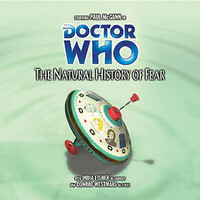 The Natural History of Fear by Jim Mortimore (author of more than half-a-dozen Who novels) is a very interesting story of mind-control, rebellion and identity. McGann, Westmaas and Fisher all get to play variant characters in a story that takes some following. When it gets to the end you realise it hasn’t been the story you thought it was though the journey has been an interesting one. 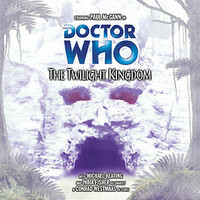 Jim also did the sound work on this – he also did Project: Twilight, Davros and The Rapture. The Twilight Kingdom by Will Shindler (who also wrote Scaredy Cat) covers familiar ground but is rather enjoyable nonetheless. Michael Keating (Vila from Blake’s 7) plays Major Koth in a story of underground rebellion, strange powers and even stranger shape-changing life forms. The whole mood is claustrophobic with more than a touch of horror. Although much of the plot treads familiar ground this is still worth listening to. 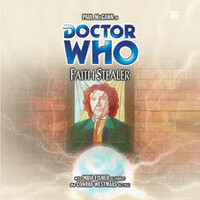 Faith Stealer by Graham Duff (Unbound story Exile) is set in the Multihaven a melting pot of religions treated like commodities in a stock market. C’rizz is in need of spiritual healing and falls foul of the Lucidity who steal parts of people’s minds to grow the power of their god Miraculite. This is all under the leadership of Laan Carder whose secret the Doctor uncovers at the resolution. What makes this story work is the role of the Bordinan who is like a Lord Mayor of the Multihaven and plays off the Doctor’s personality. Listening to this in 2014 some ten years after its release I kept spotting similarities to the recent Vienna story in terms of setup but this has its own rhythm and humour. It also has John Dorney tucked away in a minor role. The Last by Gary Hopkins (Other Lives, Power Play) tells a story of a bleak world of Bortresoye, ravaged by nuclear war, and home only to ghosts and a deranged despotic leader – Excelsior. The bleak atmosphere of the planet permeates the plot and Charley gets paralysed then dies, C’rizz gets shot and eventually the Doctor himself commits suicide. I don’t mind bleak particularly as there is plenty of dry humour; I did find that the story faded, I didn’t care about almost any character by the end and found the death of the Doctor poor. The fact that it was a reset ending didn’t help me. Caerdroia by Lloyd Rose (various novels including the EDA City of the Dead) starts to skip towards the ending and the first part is almost entirely about the Doctor tricking Kro’Ka into revealing where the TARDIS is hidden. 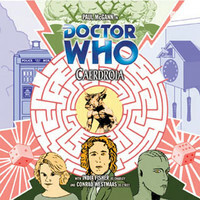 The Doctor and friends then go to the central world of Caerdroia but in doing so the Doctor becomes fragmented into three which makes for good listening. Overall thought the story lacks consistency for other character in particular Charley whose personality wanders around almost randomly. Perhaps this is a reaction to the three Doctors she has to deal with. The story gives us rabbits, cuckoo clocks, mazes and Escher staircases but in the end peters out and gives us back the TARDIS in the rush to get the arc complete. 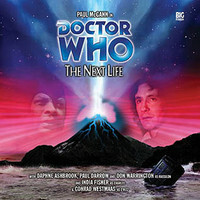 The Next Life by Alan Barnes and Gary Russell is the grandstand finish to the Divergent Universe arc cut short by the need to get the Doctor back to our universe inspired by the imminent return of the show to TV. When I say grandstand I mean grand in the style of an epic motion picture finish. The cast is grand – Paul Darrow as C’rizz’s father and fanatical member of the Church of the Foundation; Anneke Wills as Charley’s mother (as seen in Zagreus and the forthcoming Charlotte Pollard series; Don Warrington as Rassilon and finally husband and wife Keep and Perfection played by Stephane Cornicard and Daphne Ashbrook [cue the no Grace here in-jokes]. Add to this mix a surprise link back to Scherzo and the return of Zagreus and we have the recipe for a grand finale. And yes, it is a grand sweeping tale. If you don’t look too closely it is a bit of a romp and ends up where it should do (right in a nest of Davros led Daleks — home sweet home). There is plenty of attempt to link threads through the previous stories, tell a big story and finally give C’rizz a decent story, back story and also present us with a more grown-up Charley. It is an arc though one that was clearly rushed. Looking rather critically C’rizz is a poorly served creation and whether or not the threads were always there the portrayal in The Next Life comes across as far superior to any of the others. Charley grows during the arc after suffering enough torture to remind the listener of the way that Samantha Jones was mis-treated in the EDA stories. The Doctor himself is maddeningly inconsistent, at times some of Paul McGann’s most entrancing performances and at other times an almost random caricature of the Doctor. Kro’Ka makes a decent villain, Rassilon / Keep / Zagreus makes a good ending despite very poor cosmology and more than a suspicion that the twisted logic of ‘no time’ makes ‘no sense’. If the series failed it is in this area and the sense that Rassilon was bolted on to raise the stakes for an epic ending. I put off buying this for years (too much back catalogue) but am more pleased with it than I expected to be. Had I subscribed back in the day I can easily believe I might have felt differently — spread out amongst an uneven (though in places top notch) set of releases and few other ranges I understand why some people claim that Big Finish was losing its way. Ten years later it is a decent listen if you can snap it up at reduced prices. ← How long before Clara leaves the TARDIS? An interesting post. I generally agree with the overall comments though I really, really dislike Kromon and enjoy The Last in spite of the reset ending you rightly point to. 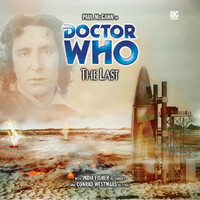 McGann’s performances seem inconsistent which bothered me on first listen – the ending makes it clear why that has happened but I think up until then it doesn’t feel deliberate enough. I also feel these stories suffer from creating a companion without giving him a clear purpose. CW is hardly poor in the part but, as with McGann, he suffers from having a fluctuating characterization that does not initially seem like a deliberate choice. Overall, I do think that many of these stories are enjoyable and have strong moments but as a whole they are much less satisfying than the pre-C’Rizz stories. Aidan – long time no hear! I accept that I might be being over-generous towards Kromon – if you ignore C’rizz and the way Charley is over-abused (a big ask I know) then I still enjoyed much of the atmosphere.